Haiyan Zhang is a designer, technologist and maker of things. She is Innovation Director at Microsoft Research Cambridge. Inventing cutting-edge technology to enable new “Connected Play” experiences. She is also an inventor appearing in the BBC documentary, Big Life Fix. In her 18-year career in the Technology sector, Haiyan has worked hands-on in software engineering, user experience, hardware R&D, service design, Cloud platforms, design thinking and blue-sky envisioning. She continues to push on the boundaries where technology can transform people’s lives for the better. 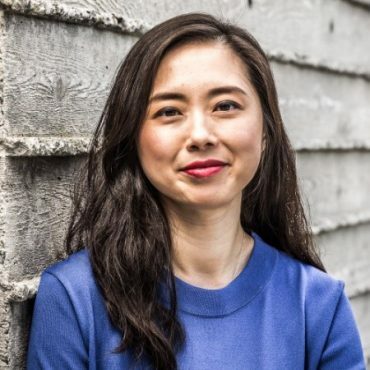 Haiyan was formerly Innovation Director at Lift London, a Microsoft Game Studio; Co-Founder and Design Lead for the innovation platform, OpenIDEO. With over 50,000 users worldwide solving challenges for social good and used as the enterprise innovation engine for organisations such as British Airways, DeutscheBank, Harvard Business School. Working at the design consultancy, IDEO, she has created innovative tech experiences for community building, entertainment, financial services. She has worked with leading video game makers on research and ideas for new play experiences. Clients have included Mattel, Electronic Arts, HBO, Citibank, France Telecom, Alcatel, Cisco, and AT&T. Haiyan’s work is informed by her previous profession as a software engineer and user interface designer creating applications for the biomedical and data-mining industries. As part of a team of software developers from Excel Tech in Canada, she created an electroencephalograph (EEG) visualization tool for intra-operative monitoring which is currently being used in hospitals across North America. Haiyan has a Masters degree with Distinction in Interaction Design from the renowned Interaction Design Institute in Ivrea, and has a Bachelor of Computer Science (First-Class Honours) from Monash University, Australia. She has lived and worked in Australia, Toronto, China, Italy, San Francisco and now resides in London.